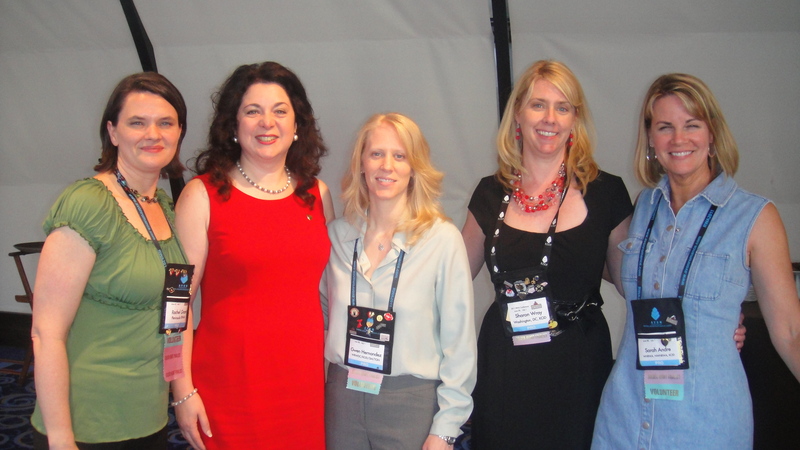 With some of my Kiss & Thrill sisters: Golden Heart finalists in Romantic Suspense in NYC. Rachel Grant and me on awards night in NYC. 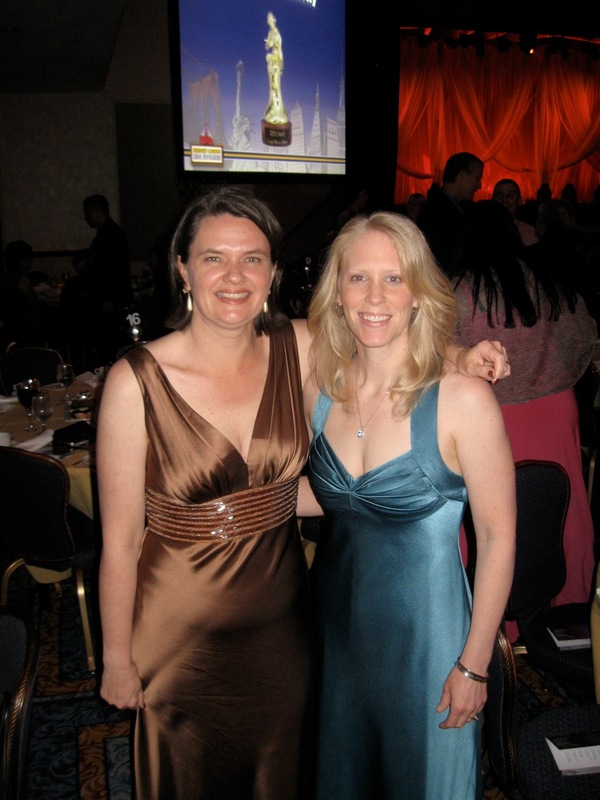 In 2011, I was a Golden Heart finalist. I got the call in the middle of a doctor’s appointment with my son and couldn’t answer! I finally listened to my voicemail when the doctor stepped out, but it was vague. Still, I was pretty sure RWA wouldn’t call me on announcement day for any other reason. That was the longest doctor’s appointment ever. I got out to my car, returned the call, got my good news, screamed my head off like an idiot, and took my son out to lunch to celebrate. Hey, school could wait, he had to eat, and his mom was a finalist. For unpublished authors, a Golden Heart contest final opens doors with editors and agents too. I got some amazing feedback and a couple of revise-and-resubmit requests that year. Those—and some wins in other contests—eventually gave me the confidence to hire an editor and self-publish my GH-finaling entry, BLIND FURY. Next year, I’ll be back to biting my nails at the end of March hoping for a RITA call, wondering why we do this to ourselves. So, I’m raising a virtual glass to all of my friends who are waiting for their call today. I’ll be there to smile or console, and to cheer on the finalists in San Antonio this July. Good luck! One of my local chapter mates, Suzanne Kaufman Kalb, is a finalist in the contemporary category. She won a GH a couple of years ago in the YA category. Congratulations and good luck to all the finalists!! Congratulations on the 2011 GH final, Gwen! Awesome accomplishment. So glad you chose to publish Blind Fury, it certainly rose to the top of the manuscript submissions that year!! I better go to RWA and see who finalled this year!